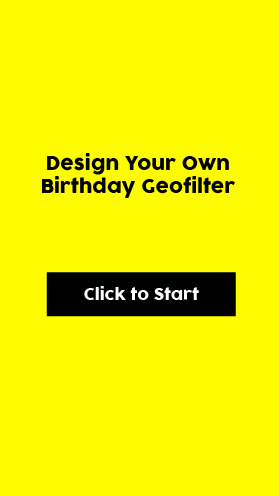 The blank slate Snapchat birthday filter is a canvas for you to be completely creative. You can add your own text, emojis, colors, and images. Just make sure you don't use hashtags, put full names, or write anything inappropriate (your design will be rejected by Snapchat).